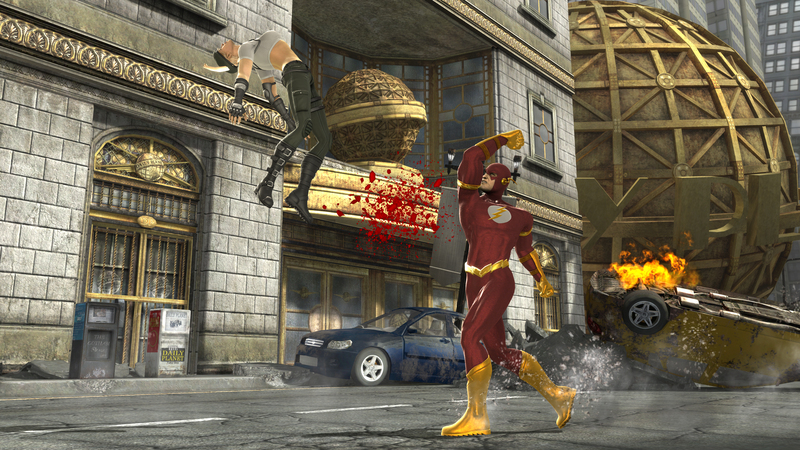 Ahead of tomorrow's start of the E3 Media and Business Summit 08, Midway had released seven new screenshots from Mortal Kombat vs. DC Universe. 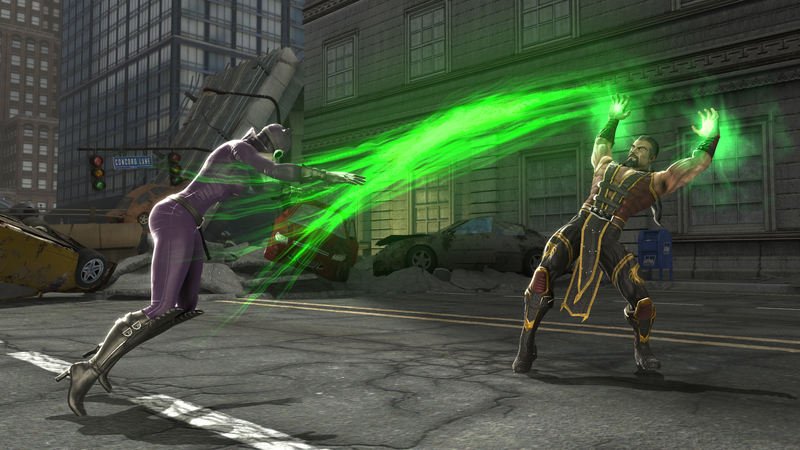 The screenshots feature the latest announced characters, Flash, Sonya, Catwoman and Shang Tsung. 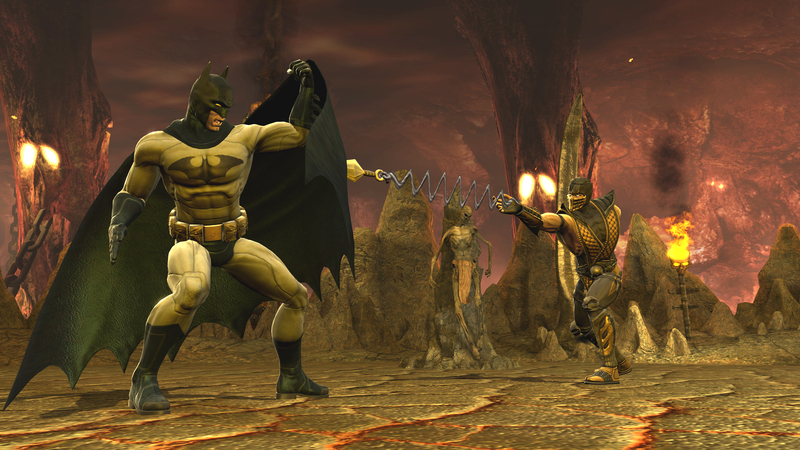 That Batman one looks like Scorpion's spinning a web. 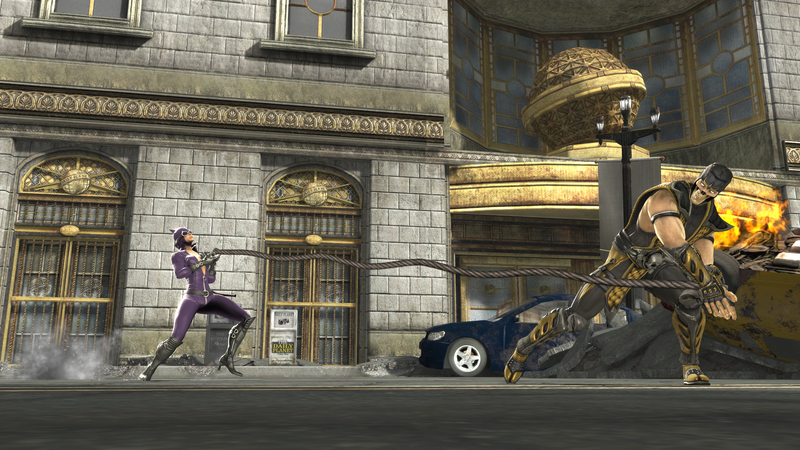 I that Batman one looks like Scorpion's spinning a web. plus, Scorps arm fell off. Ha...very true. I don't like how the spear loooks distinctly sprite-ey just like in MKA. It really breaks off the immersion. So cartoony looking. Why couldn't they update the animation at all? Add in an actual throwing animation and a bit more of realism. 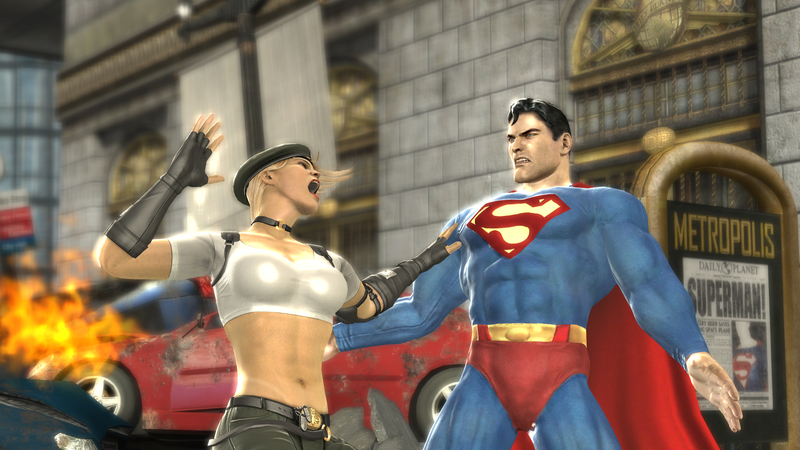 This game is supposed to be the grittier more grounded MK experience. Is Scorpions mask gonna fall off after one punch or something? Cause in like half the gameplay footage I've seen his mask is off, which isn't neccesarily a bad thing. I dig skeleton Scorpion. I also dig the damage that sticks. They should be more thorough with Scorps though. Like if you do a move that involves grabbing his face the remaing skin comes off revealing a bare skull. Who knows, maybe you can do that. Either way, it would be pretty sweet. Yea I am getting pretty sick of seeing his skull all the time. I like his mask's design and I want to actually see it for more than 30 seconds at a time.